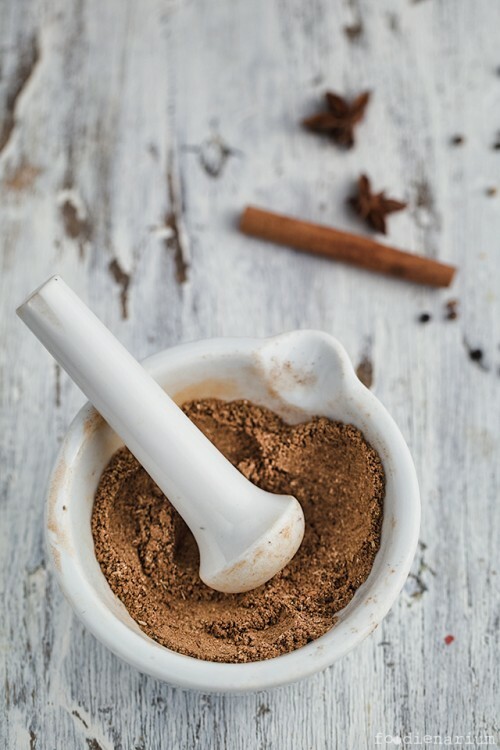 Chinese five-spice powder is a well-known mixture of five spices used in Chinese cuisine. It also appears in other Asian cuisines and is now quite popular around the world. There are different versions of the mix but almost all of them include anise, cloves, fennel, cinnamon and Sichuan pepper. Despite of the mix contents, it’s great for fatty meat, chicken and even fish. In fact, making such a mixture is not a problem, because all the ingredients are available at any large supermarket or at any market. All you need is a mortar, where you can grind the spices. p.s. Soon I’ll show you how to cook wonderful chicken breasts with this spices blend very quickly. In fact, all you need is to do is to put all the spices into the mortar and grind well.